Recently, my friend Annie Petersen took advantage of one of Twitter’s best functions for academics: crowdsourcing syllabus recommendations. Annie was looking for readings that provide a good introduction to semiotics, but are not impenetrable to novice students. I recommended this online visual essay by Tom Streeter (another friend of mine), which I’ve found quite useful for introducing students to key ideas and terms while remaining accessible and clear. In our brief exchange, Annie mentioned that she was entering this “vast uncharted space” in teaching theory at her new job at Whitman College, both for the students because the curriculum is more focused on history and criticism, and for her because she’s never taught a theory-centered course before. This made me realize that I started at Middlebury exactly 10 years ago, and like Annie, found myself teaching my first theory course within a department that had not covered much theory before. I’ve learned a lot of lessons about how to (and how not to) teach theory to undergraduate students since then, and Twitter was inadequate to share some of those experiences with Annie, so I figured I’d broaden the audience to the blog and prattle on way beyond 140 characters. While my experiences are centered around teaching theory to undergraduates within the realm of media & cultural studies, I think the advice is broadly applicable to courses in a wide range of humanities & social science disciplines. As always, I encourage discussion & feedback in the comments. So let’s set the stage. You’ve gotten a Ph.D., spending your most recent stretch of academia immersed with a cohort of like-minded intellectuals who get off from debating the subtleties of the most difficult things you can read. You’ve spent years in courses where the goal is to rip apart complex works, highlighting the flaws and inconsistencies in monographs written by people whose jobs you aspire to have. You’re surrounded by people who love this stuff—there’s probably some densely-packed theorist that you treat like airplane reading (mine was Foucault). Explain what you mean by “theory.” Your average undergraduate, even the very smart ones I get to teach at Middlebury, probably don’t think of “theory” the same way that faculty and graduate students do. Theory might evoke something in math, or the “theory of evolution,” but it seems for most undergrads, theory implies a tentative hypothesis that has yet to be proven—more than a hunch, but less than a fact. So it’s important to explain what we mean by theory in the humanities: a framework or set of ideas that transcends the individual example, but that cannot be proven. I find this lack of “provability” to be particularly irksome to some students. Undergraduates, especially the well-prepared & bright students I teach, like to learn the right answers. The American secondary school system puts a lot of emphasis on learning things that can be tested, so they try to figure out what is correct and how to follow the lead of such proven lessons. One of the main challenges to teaching theory to undergrads is getting them to understand that it’s not about coming up with the “right answer,” but rather exploring how any given theory helps provide insights and new ways of understanding. So it’s crucial define what “theory” means in your disciplinary context so students have a way to make sense of it & calibrate their expectations. Theories are in dialogue with each other, and often contradict. Much of what I know about teaching theory I learned in graduate school from one of my mentors, John Fiske – I discuss that experience more here. One of John’s gifts was the ability to make theoretical paradigms and frameworks fit into a longer intellectual history, framing each new theory as an ongoing dialogue between theorists. I’ve tried to ape that approach in teaching cultural theory, meaning that I always contextualize where the main authors are coming from, what influences they were reacting to, and how they changed the way a school of thought worked. Providing such contexts helps students understand any theory as part of an ongoing process of discovery, not an absolute progression toward truth. I don’t treat these contexts as a bunch of facts that students need to learn in mastering a field’s intellectual history, but as part of a story, with characters who are products of their experiences and influences—I’ve found students enjoy thinking about these theorists talking to one another more than just as dead, dense words on a page. It’s particularly helpful to find a book that narrates such contexts for students—I particularly like John Storey’s Cultural Theory & Popular Culture books, in large part because his voice and approach reminds me a lot of Fiske (and when I met Storey a few years ago and told him this, he said he was honored by the comparison). Another key part of this dialogue is conveying the contradictions between schools of thought. I’ll often draw charts or tables on the whiteboard to map how different theorists might respond to a similar issue or text, providing comparisons and contrasts. In doing so, for instance between theories of culture industry, ideology, and hegemony, I’m not trying to argue that one of these is inherently more “right” than another, but that each provide different ways of thinking about a cultural object. Students want to be able to figure out what’s the correct or more valued approach, but I try to present each theory on its own terms in the best light, and then allow them to figure out what works best for them—and, most importantly, which theories are best suited to tackling a particular text, object, or cultural formation. Theories are meant to be applied. My graduate program and background emphasized theory as a tool to be put into practice, not an object of study on its own. I remember taking a Comparative Literature course that treated theoretical writings as aesthetic objects to be admired and studied, where my attempts to actually “do something” with a theorist was skeptically regarded as not being “true” to the theory. Not surprisingly, I’ve found that undergrads respond much better to applying theoretical writings than trying to appreciate them on their own terms. So when I teach a given theory, I always try to assign a three-part combination: an overview reading that summarizes & contextualizes the theory (like Storey’s volume), some excerpt of the theoretical writings from the big-name theorists themselves, and an example of the theory as applied to an accessible cultural object. In class, I ping-pong between laying out the contexts & the ideas of the theory, and applying them to a new example where we can collectively make sense of a video or image in the style of today’s theorist. A class meeting where we’re not using a theory to make sense of a cultural object is usually an unsuccessful day. Likewise, my assignments are always about applying the theory more than recapping or summarizing it. In fact, I strongly discourage students from quoting from theory—a strong essay explains the relevant aspects of a theory in the student’s own words and through their analysis, not by retyping the words of a great theorist. (And if you read my own academic writing, you might notice that it’s far less quote-heavy from other academics than most, as I try to model this approach and would much rather read work without wading through other people’s greatest hits.) In crafting assignments, I always give students free choice in what they analyze, because I want them to be inspired to rethink cultural objects that interest them through the lens of the theories we’ve read—it’s hard enough to digest and apply dense theory that they should have the comfort of writing about their own preferred topics. Because of this, I’ve gotten to read analyses of a huge range of popular culture, thus expanding my own knowledge of eclectic topics like sneaker collectors, jam bands, and the “Will It Blend?” videos. Another important use of examples is as a thread running throughout a semester. In my Theories of Popular Culture course, I start the semester by screening the film High Fidelity. 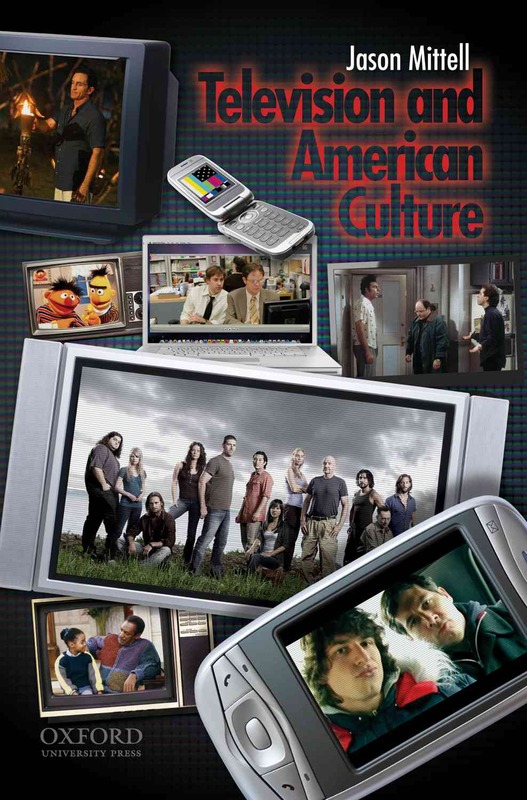 We come back to it throughout the semester, thinking about how a wide range of theories might help us understand it, both as a work of popular culture and as a representation of people’s relationship to popular culture. I hope that by the end of the semester, students understand that since no single theory can explain everything about this film, what critics need is a range of theoretical tools and approaches to be able to answer specific questions and address particular issues, rather than treating theory as dogma in which we’re all seeking a single belief system to apply universally. Don’t worry about the theoretical nuances. It’s vital to remember the goals for such a class versus the goals for a graduate theory course. In my undergraduate courses, I’m not training academics to be able to write publishable scholarship—although that sometimes happens, as with my former student Ioana Literat’s recently published piece on Trapped in the Closet that first emerged as a term paper in my narrative theory course. I see an undergraduate theory course as having two main goals. First, I want to introduce students to the range of theoretical thinking within the field, offering a sampling plate of tastes to get a sense of what might fall under the umbrella of cultural theory and potentially stoking their interest for further study. More importantly, I want students understand what it is to do theoretically-informed analysis, making the connection between broader frameworks and specific criticism. Most of my students will not go onto grad school in the humanities, so I don’t expect them to become expert practitioners of theory or criticism, but I do hope they come away from my class with more awareness about their own underlying frameworks and assumptions that they use when they consume (and produce) culture. 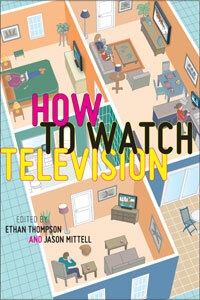 Even if they never actively “use” the theories we read, whenever a former student watches a film and thinks about how it is ideologically addressing him/her, or skeptically questions assumptions about passive viewers absorbing a television program’s messages, that is an indication of pedagogical success. These goals require very different choices than a graduate theory course. Most importantly, it necessitates simplifying complex theoretical ideas to make them accessible for undergrads, an approach that may be particularly galling to newly minted Ph.Ds who have spent recent years focused on the complexities and nuances of theories. I try not to “dumb-down” theories, but rather emphasize the core concepts and arguments over the more advanced nuances and subtleties that typically thrive in advanced seminar discussions—I think Streeter’s online essay is a model for such distillation and exploration. I’ll happily discuss such nuances with students who care about them, but I try to avoid delving too deep into the weeds in a full-class discussion. It’s more important that all of my students come away with the central nuggets of a given theory than that the small minority who care about theoretical subtleties emerge as fully engaged with any theory’s complexities and nuances. A student who has the passion for theory will find a way to dig deeper on their own or in future studies, but my courses strive to be a place where everyone gets a solid foundation without being alienated from the conversation by getting too deep into nuance. Share your passion for theory without making them feel bad for not getting it. If you’re teaching a theory course, you probably love talking and thinking about theory—that passion and excitement is your secret weapon in such a course. Most students will be resistant to theory at first, as it’s hard to read, often seems pointless, and can challenge their core assumptions and beliefs. Your job as a theory professor is to convey your passion without dismissing the students’ skepticism and resistance. You’re a tour guide to very foreign lands with passengers who’d rather be home in their comfort zones. So you need to show them how exciting theoretical ideas can be, especially when applied to cultural objects they care about. I often geek out on theories as I’m teaching them, showing my excitement about how a concept like the arbitrary relationship between signified and signifier changes how I see the world—I think (some) students find that excitement a bit contagious, and want to work through the readings in order to find similar passions of their own. I remember my own lightbulb moment when I first studied semiotics as an undergraduate and realized this is was a conversation I wanted to participate in for the rest of my life, and I aim to help my students experience similar revelations (even if they don’t end up going down the professional academic route). You also need to acknowledge how difficult it can be as an undergrad to make productive sense of this stuff on the first read-through, and reiterate that difficulty throughout the semester. Usually I have a couple of theory jocks in every class, and it’s important to avoid turning into each meeting into a conversation between me and those students who are really into it, making the students who don’t get it feel lost and dumb for not being able to engage at that level. So I make sure that everyone is participating in the conversation, celebrating seemingly “stupid questions” that help ensure all the students are getting the basic ideas, and trying to shut-down the more advanced conversations. I explicitly tell students that it’s okay to read a theoretical piece and feel like you have no clue what it’s about, as we’ll work through it in class to unpack the argument. Online discussion forums are useful for getting broad engagement, as they can discuss the readings amongst themselves and give me a sense of who is getting it and where we need to clarify in class. Few things are more gratifying as a teacher than to see a student who started as resistant to and lost in theory find a foothold and get excited about a particular concept or approach—that’s the joy of intellectual discovery that teaching undergrads facilitates, and what keeps me going through the grading and busywork. OK, that was clearly way more than 140 characters! I’d love to hear from other people’s experiences, whether from the prospective of faculty teaching theory to undergrads, or your own experiences as an undergraduate learning theory. What works and what doesn’t, and what frameworks can we detach from our own personal experiences to make such courses succeed? You write about finding the “perfect object of analysis” that “can make the theory work.” I agree this is utterly important, and not just for undergrads. Not to mention that finding such a “perfect object” is one of the more pleasurable parts of preparing a lesson. I do wonder, though, if it isn’t often as important to find an object that the defies analysis by means of whatever theory is being taught that week–or at least to demonstrate how the theory might explain some aspects of the text, but not others. Not to show that media texts are inherently resistant to theories (which is a theory in itself), but to show that theories are not infallible, and some are better than others. Although most theories in the humanities are not falsifiable in the sense familiar in experimental science, some theories have more explanatory power, and some are ridden with internal contradictions, false analogies, and so on. In other words, I think subjecting a theory to a structured critique is just as valuable to undergraduates as demonstrating its potential usefulness. Too many humanities scholars (at all levels) claim “proof” of a theory in their ability to apply it to a particular text, but don’t care to address or solicit counterexamples. I think this attitude is often inculcated in undergraduate and graduate courses that claim to be about “critical thinking” but don’t subject the theories under discussion to the same scrutiny as the media texts they are used to explain. My undergraduate courses in philosophy and intellectual history were valuable to me in the way they challenged even the most commonly accepted ideas–something that was missing from some (not all) of the media theory courses I’ve taken. Thanks for the kind words & comments. I agree 100% that it’s important to show the limits of a theory, and to highlight how the theory falls short of being able to deal with a given text, question, challenge, etc. I usually incorporate that through the “dialogic” approach I describe – in introducing a new theory, we talk about how it addresses limits of earlier theories, and often will revisit texts in conjunction with the new approach. And we’ll look at new examples that don’t really work with the old theories too. It’s a balancing act, because often students want to leap to ripping apart a new theory for a range of reasons – sometimes they detect flaws right away (like the totalizing scope of Adorno), or sometimes they want to bash it because it’s hard to understand. So I always try to give a new theory the benefit of the doubt, exploring it on its own terms & contexts (often with the perfect example), but then discussing its limits and drawbacks. By the end of the semester, I feel like my students usually come away feeling like none of these theories are flawless, but each has their own particular insights & applications – at least that’s my goal! Thanks Jason! I hope I didn’t come off too harsh. It was more of a general point than a specific criticism of your post. I’ve had a few theory classes in which challenging or critiquing the theories under discussion was infinitely forestalled, perhaps because the instructors didn’t allow enough time to actually make sure students understood the theories in the first place. Which actually reminds me of another thing that seems important for undergraduate theory courses: keep the reading under control. It’s far more useful to undergrads (grads too, I think) to burrow into a single important essay and understand it than for them to get, at best, a superficial understanding (or non-understanding) of a raft of essays. As you suggest above, even more than introducing and clarifying specific theories, a theory course is also teaching students _how_ to read and critique a certain kind of writing. If you do a good job teaching, say, a Barthes essay, students who are curious can go on to reading other work in semiotics with some confidence. Maybe this is obvious stuff, but I’ve had too many courses (theory and otherwise) where the professor felt a need to “cover” a huge amount of ground and the result just gave everybody whiplash. Not harsh at all! And I agree that the reading pile-on doesn’t help, as once you get to a certain point, you overwhelm them & they stop engaging. Of course, finding that point is dependent on the context of your institution, department, and students’ background. Nice post. 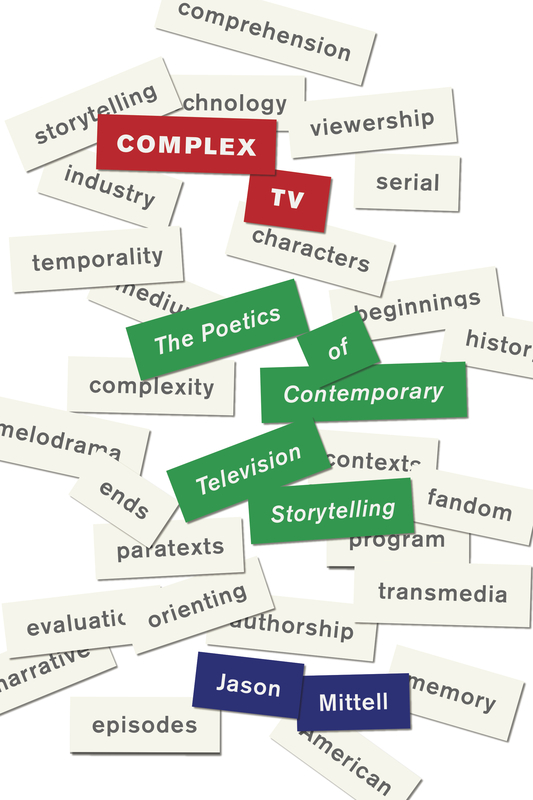 As you’ve seen recently on Twitter, I’m also teaching a theory class this fall — “Critical Studies: Television.” I’ve spent the last week reading the textbook I’m trying out this time around, Critical Media Studies: An Introduction (Ott and Mack). Virtually every tip you’ve placed in boldface above is echoed in some way in the book. While I can’t say yet that the text is successful with students, I’m hopeful! Excellent suggestions, Jason. I haven’t taught our undergrad theory course (it’s Sean Griffin’s baby! ), but I’ve inserted theoretical concepts (and some readings) into other courses, and have done our grad theory seminar (which presents its own issues, worthy of discussion…). I’ve also regularly done a week or so on the broad concept of “media studies” for one of our intro courses. And even there, at this very basic level, examples are critical. I usually contrast “social science” and “humanities” approaches and methods, but try to show how they both (broadly speaking) have intriguing insights about how media works and is used by us, even when some of their core assumptions are quite different. My university had no film studies program when I arrived 5 years ago,. 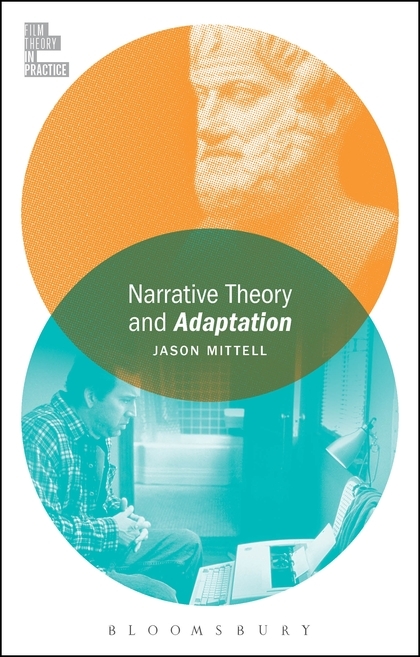 When my colleague and I began to build our minor we agreed that a required core class would be “Film Theory and Criticism.” Despite a major aversion to studying classic film theory (I had some traumatic theory encounters in grad school), I was surprised to discover that the experience of teaching theory to a group of students who had never read anything comparable before (with the exception of a lone philosophy major), is really fantastic and rewarding. Though I do wish I could have read a blog post like this 5 years ago! I agree with all of these suggestions, particularly “Don’t worry about the theoretical nuances” and “theories are meant to be applied.” When teaching undergrads, especially students who are only minoring in the subject I teach, application is central. They need to see how the theory works on a text, rather than simply “read this and try to understand it.” The hardest part for me is finding the perfect film to illustrate a theory. I had such a hard time with finding a perfect film for suture (since it can technically be any classical Hollywood film), in fact, that I gave up and told my students to select a short youtube clip that best illustrated their understanding of suture, “The Allegory of the Cave,” etc and to post it to the class blog. Both times I did this assignment it was fantastic. The only advice I would add to this list are extensions of points you already made. On the first day of class I tell my students that the readings we will be doing will likely be the most challenging stuff they ever read. For example, they read short essays by Kracauer, Bazin, Eisenstein, Baudry, etc. But I always tell them–you may not understand every word or even whole paragraphs–and that even me, their brilliant professor, doesn’t understand a good chunk of what Eisenstein is rambling on about. But if you take notes, pause to look up the big words, and think as you read, you WILL get the gist of what the author is saying. When I taught this class last spring I surprised and delighted to see students opening their anthologies and I could see the highlighter marks and scribbles in the margins. Trust me when I say it is a big deal for my students to do this sort of thing. I also tell them that we will devote a full 75 minute class each week to contextualizing the theories we read and to parsing out each assigned reading (so I try to assign very short readings). We have a classroom philosophy of “Leave no classmate behind!” In other words, we will not move on until every person in the class is on the same page. Class blog also really helps in this regard–we are able to start class discussion a few levels higher than we would have without the prewriting provided by the blog. I also second your advice “Theories are in dialogue with each other, and often contradict.” It’s really useful to try to move chronologically through theory, so that students can see how theorists build on each other’s work. By the end of the semester, when we got to theories of digital cinema, we were able to reach back to early lessons on realism and formalism, and the discussions were amazing. I dreaded teaching theory but I have to say–it’s now one of my favorite classes. Great points! I definitely think a theory course is a place for a professor to be humble and down-to-earth with students – you need to show that you understand it better than they do, but that you also struggle to get through these ideas and make new discoveries upon every rereading. I couldn’t agree more! We’re knee-deep in my (very brief) overview of cultural studies in my Introduction to Media Studies course, and I’ve said “This stuff is hard! It took me the better part of a decade to really fully understand it. I certainly don’t expect you to get it in a day, week, or month–but you CAN get the basic idea, I promise.” I also encourage them to ask questions again and again and again. And yes–I’ve found pre-writing to be key, also. A student came up after class today and said, “Wow. I read that completely backwards!” He seemed worried, but I told him, “That’s totally fine–this is why we don’t have quizzes on this material! Do you understand it better now that we’ve gone over it?” He said he did, and I was satisfied. I teach mathematics. Some years ago, I took a class on Dickens from a colleague in English for fun and learned about various ways to analyze a text –postmodernism, feminism, etc. The specifics have become a bit vague. My colleague and I had some interesting cross-disciplinary discussions about the similarities between analysis of literature and doing proof in math. One of the things that mathematicians do is to identify axioms and definitions (analogous to a theory described above) and then use them to prove theorems. What many people who stopped their study of mathematics after their required general education core class do not know is that mathematicians do not always use the same set of axioms. Like the theories you describe, the axioms cannot themselves be proved to be true. The most obvious example is in geometry. In Euclidean geometry, one of the axioms is that for a given line and a point not on the line, exactly one parallel line passes through that point. This matches our normal day to day physical experience. However, in hyperbolic geometry this axioms changes: for a given line and a point not on the line, more than one parallel line passes through that point. Changing axioms has led to interesting and also practical discoveries in both mathematics and science. I think that an important part of undergraduate general education is the realization of the fantastic capacity of the human mind to make and test axioms and how our sometimes unconsciously held axioms affect our experience. This applies to teaching and pedagogy as well. When I start classes next week, teaching primarily first-generation and underprepared students, it is critical that I remember that my students’ beliefs (or axioms) about schooling, learning, studying, and the purpose of higher education are often different than mine. What I say to them goes through a filter; what they hear may not be what I intended them to hear. BTW, I am Annie’s mom. I’ve found this to be a critical hurdle outside of the realm of education. It seems that this presents the greatest challenge to most people, ingrained much earlier in their studies of English literature: You will be tested on your ability to derive the correct interpretation from a given selection. What is never tested is which piece of prose each person prefers on the grounds of the applied theories, nor which piece of prose each person prefers on the grounds of pure aesthetic enjoyment – and why? To explore modes of expression which are beyond instant gratification is then assumed to be a chore, not something which can be unlocked in a similar manner. It is a skill to be able to parse data and filmic language at the rate kids these days are capable, a skill that people of some ages and cultures do not possess, but because it is so familiar it is assumed to be innate, and all others arduous and incapable of being internalized. When people begin to be open to ‘new ways of understanding’, as you say, it is usually indicated in conversations by starting with an exploration of one’s own thoughts followed by a welcome invitation for others’. Conversely, when people are still ‘looking for the right answer’ it is all about parsing particular details and arguing over their primacy and relevance. I can think of nothing as damaging to culture as our established literature education paradigm, and I’m glad you’ve made it a primary goal to break down this terrible blockade! Such an awesome post, Jason–thank you! I can’t believe I’m only seeing it now, but am glad to have found it nonetheless. In particular, your point that all discussion of theory should start by defining exactly what we mean by “theory” is on the nose. This didn’t occur to me until today when, as we were discussing James Carey’s outlining of “transmission” vs. “ritual” views of communication, students wanted to classify different media forms as one or the other. I was confused until I realized that they fundamentally misunderstood the point–these are approaches to studying communication–not models. We paused briefly while I explained that a single media form (newspaper, to use Carey’s example) could be understood from EACH of these perspectives, depending on the lens you want to use. This is definitely something I plan to build into next semester’s class earlier and with more emphasis! After years of wading around in theory, sometimes we forget that the project and its goals are not self-evident!